EU member states have voted in favour of a total outdoor ban on three neonicotinoid pesticides that was proposed by the European commission. 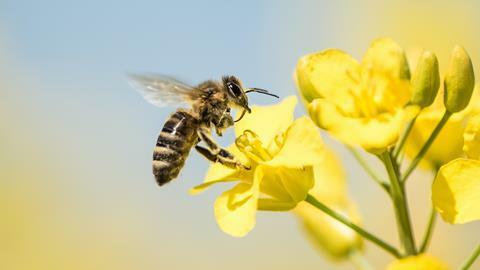 The use of clothianidin, imidacloprid and thiamethoxam across the EU has been restricted to non-flowering crops since 2013 over concerns they were harming bees and other insect pollinators. The new ban goes much further, completely prohibiting their use outdoors. Farmers will still be able to use them inside greenhouses. ‘The commission had proposed these measures months ago, on the basis of the scientific advice from the European Food Safety Authority (EFSA),’ said commissioner for health and food safety, Vytenis Andriukaitis, in a statement announcing the ban. A recent EFSA risk assessment on these three neonicotinoids concluded that they pose a risk to wild bees. In November last year the UK government said it would change its stance on the pesticides and support a ban in Europe following the results of its own research on the effects of exposure in honeybees. The near-total ban will come into force by the end of this year, the commission says. Linda Field, a senior scientist at the UK agricultural research institute Rothamsted Research, says it was ‘not surprising’ the existing regulations had been extended. ‘Farmers are now likely to turn to older chemistries to protect crops,’ she tells Chemistry World. But she adds that this can be problematic as some pests have developed resistance over time. Last year scientists at Rothamsted warned that restrictions on neonicotinoids could make it hard for the UK to carry on producing certain crops.